Yesterday, we were lucky enough to see new gameplay footage from The Order: 1886, an upcoming game for the PS4. While some fans who tuned in were disappointed when the stream only lasted for three minutes, and others were quite satisfied with what they got to see, there were a few who found something else to complain about–the graphics. Yes, The Order is the latest game to be accused of having its graphics “downgraded” from previous builds. This sort of criticism has cropped up multiple times lately, but Ready at Dawn isn’t taking it. Founder Andrea Pessino was quick to announce that the graphics have actually improved. And while the stream showed frame rate issues, that, as well as the other “downgrades,” were a problem with the stream, not the game itself. Pessino also clarified the importance of the plot. If you missed the stream, check out the new gameplay footage now. 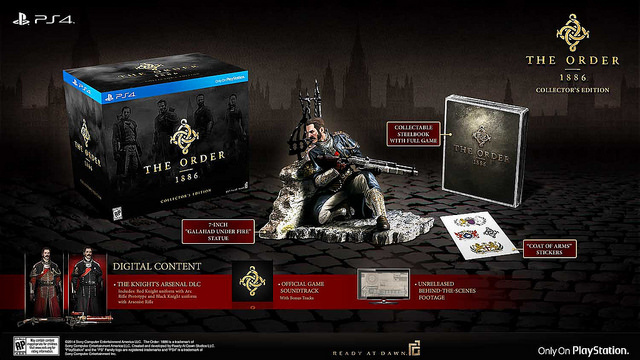 The Order definitely wants to be a third-person shooter unlike any other out there. Do you think it will succeed? It’s been a while since we’ve seen new footage from the upcoming PS4 exclusive The Order: 1886, so we’re excited to announce that a gameplay stream is being teased for today. Sony announced that if you tune in to Twitch today at 1 PM PT/8 PM GMT, you’ll get to see new gameplay footage of an upcoming PS4 game. 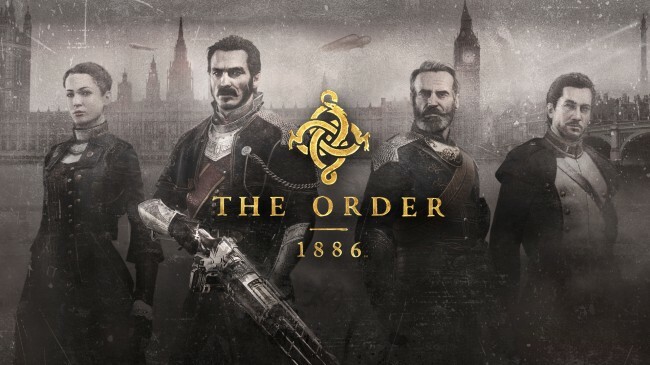 Although they didn’t actually name the game, the placeholder image announcing the times has the logo from The Order: 1886 in the background, so either it’s going to be The Order, or they’re trying to trick us for some reason. The blog post was titled “The Revolution Will Be Televised,” so we suspect this gameplay will deal with the lower classes’ rebellion, rather than the supernatural conflict most previews have concentrated on. 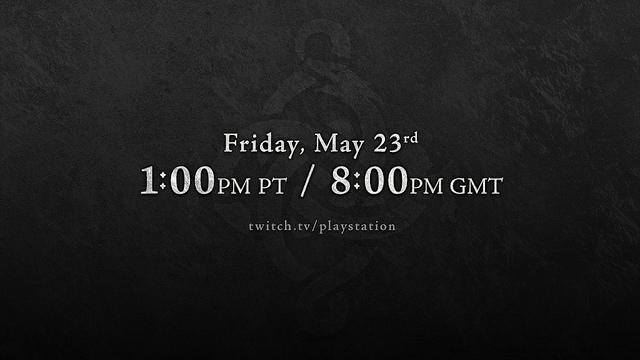 Join us in a few hours to watch the Twitch stream and see more of The Order: 1886. The Order: 1886 was one of the games that really jumped out at people at last year’s E3. With impressive graphics and an intriguing story hook, it became one of the most anticipated PS4 exclusives. Some people have expressed their concern that it will just be a generic third-person shooter, with nothing to distinguish it or make it a must-have game, but if the game is successful, we could see more from The Order IP in the future. This makes sense, considering the amount of lore The Order has. It has an alternate history dealing with half-breeds, an ancient order of knights, and a drawn-out war during the time of the industrial revolution that leads to incredible advances in technology. There also is Black Water, a substance that extends people’s lives. Add in the fact that in each generation, the knights of the Order step into the shoes of the knights of the Round Table (hence the main character of The Order: 1886 being named Galahad), and you have a lot of potential for subsequent games. According to Weerasuriya, The Order should “mesh folklore, history, technology and narrative into one coherent whole.” If it really does all that, it could be one of the defining games of the new generation, and being a cover-based shooter won’t stop it. We hope to see more about it at E3. 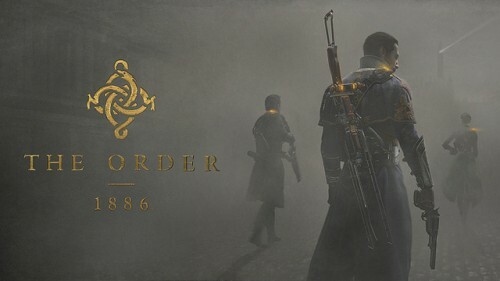 Do you think we’ll see sequels to The Order: 1886? Everything we’ve seen so far from The Order: 1886 has had pretty spectacular graphics, so it’s interesting to note that the developers feel they can improve even further. Graphics and Engine Programmer Matt Pettineo recently mentioned that they’re still dealing with some lighting issues in the game. @anji_nl Thanks! Currently we only handle diffuse bounce, so it's too dark. We're still working out the best way to fix that. Statements by Intel Tech Lead Andre Lauritzen suggested that they’re also looking into speeding up the encoders that deal with the texture compression, which would allow them to optimize things even further. Additionally, Founder/CTO Andrea Pessino mentioned that “everything that moves in the game is simulated using soft bodies and a very accurate material-in-medium model,” and that you will be able to blow up lots of stuff even though that isn’t the central feature of the game. It sounds like Ready At Dawn is putting a lot of effort into make this game look and run great. We hope we’ll hear more gameplay details soon, too. Share your thoughts on The Order: 1886 in the comments below. The Order: 1886, Ready At Dawn’s upcoming action-adventure title, has been followed with intense enthusiasm ever since the PS4-exclusive was unveiled at E3. A new cinematic trailer was released today. 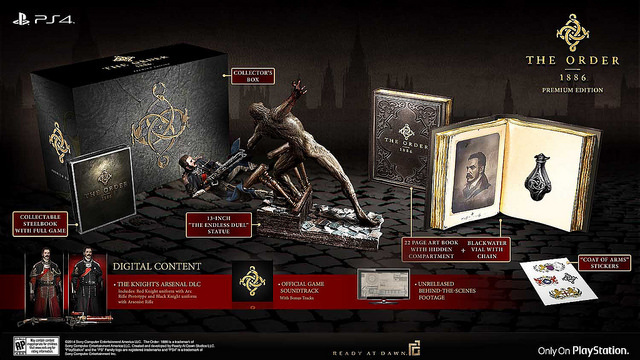 It highlights the game’s story and hints at the darker, supernatural elements, as the knights of the Order protect London from monsters. 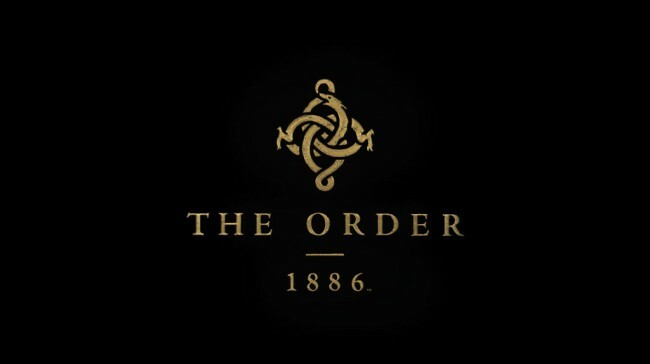 While not exactly steampunk, the Order: 1886 has similar elements—it takes place in an alternate version of the Victorian era, where new technologies have changed history and created a very different world. Later in the day, a ten-minute gameplay video also surfaced. We’re really excited for The Order: 1886, and even more excited to learn that a demo for the game has reached the hands of reviewers. Not everyone is pleased with what they’ve seen, but most people can’t wait to see more. Take a look at the videos. Is The Order on your list of games to buy?